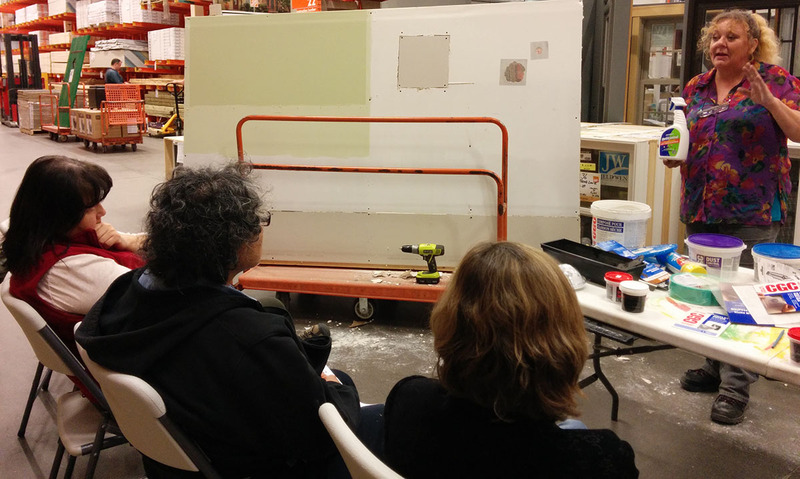 WISE is re-initiating its home renovations workshops for women entitled “BUILDING WOMEN UP”. We were very fortunate to win the support of Soup Ottawa attendees on September 27 at the Red Lion with an amount of over $1300.00 to support women’s safety and women learning new skills. “BUILDING WOMEN UP” is a 4-part workshop series designed to allow women victims of violence, to gain knowledge and skill in the area of basic home renovation and repair; with a particular emphasis on safety items. Have YOU ever wanted to know how to do some very basic tasks at your home? Want to know how to deal with power tools, hang a shelf, repair drywall, lay laminate flooring, learn about plumbing and fixing leaks and focus on safety features such as installing a deadbolt or peephole in the door? That’s what this series of workshops will give you. New skills. A sense of confidence that you can do this stuff for yourself. You don’t have to rely on others to do some basic things that could cost so much if you had to hire someone to do them. WISE recognizes that women are not normally socialized to learn these types of skills when we are young. We recognize too that resources are limited for so many women who are marginalized and/or living with violence and having pressures of needing tasks done at home can create added stress. The Soup Ottawa winnings has given us an opportunity to get a new series of workshops setup. This message is a headsup that your chance to register will be coming soon. We’re looking forward to helping you gain some skills that will allow you to do so much for yourself. Wow your friends and family and teach your own daughters! Thank you so much to The Home Depot for showing community spirit and empowering women's lives!